An utterly charming and tender story of the disparate tenants of a Brooklyn brownstone and the community they form around their ageing landlord when their home is suddenly threatened. Within a charming, if dilapidated, Brooklyn brownstone live a family of sorts: beautiful agoraphobe Adeleine, who surrounds herself with the past; Thomas, an artist who has shut away his materials in the wake of a stroke; Edward, a cynical stand-up comedian mired in depression and Paulie, a young man with William's Syndrome, a disease that grants him the irrepressible cheerfulness of a six-year-old. Brought together by ageing landlady Edith, the tenants all live safely in tune with each other, even if they do keep to themselves. But when their home is suddenly and violently threatened, they are shocked into action. 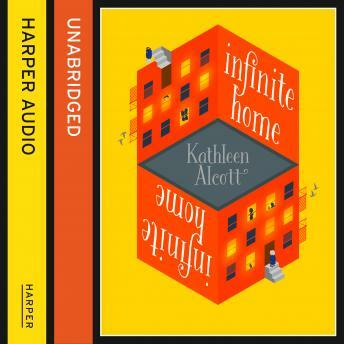 Infinite Home is a poignant story of how a community is built and torn apart, and how when lives interweave a beautiful and unusual tapestry is made.